Megan Ray Nichols is a technical writer and the editor of Schooled by Science. Cities are huge drivers of economic growth. They have a large share of the population, both public and private institutions and infrastructure. In 2007, just 380 cities contributed half of global GDP. Researchers project that by 2025, 600 cities will account for 60 percent of global GDP. In contrast to years prior, many of these new hubs are located outside of the United States and Europe to the south and east, especially in China. So what can the United States do to spur economic growth as the global economy continues to shift? One strategy could be investing in the mid-size cities in the country that are on the rise. What is it about cities that makes them so influential, and what makes some urban centers grow faster than others? If we find that out, we can identify the best strategies for investing in our cities. Professor Mario Polèse has proposed five urban economics principles that affect a city’s outcomes. Size and location play a major role. Once a city is a country’s largest, it will likely stay that way; continuing to grow and gain more resources. Outside events drive change. When things do change dramatically it’s likely because of large political, economic, or technological shifts. For example, when the demand for steel fell, growth slowed in steel-producing hubs. Well-connected cities grow faster, because they can more efficiently move goods and human capital to where it’s needed most. The ten most populated states lose around $62 billion each year in potential economic activity due to traffic congestion. A diverse set of industries is crucial to success. Every industry makes an impact, either a good or a bad one. Cities in which one industry comes to dominate the economy will likely fall on hard times in the future. Policies do make a difference. Well-governed places will attract new businesses, while those plagued with corruption and inefficiency will lose the businesses they do have. When a city doesn’t meet the criteria or faces difficulties for other reasons, the results can be quite severe. Low economic growth in an area causes a chain reaction that can impact the welfare of the people living there. When economic growth is low, fewer people have disposable income so they buy less and give local companies less business. As a result, these businesses struggle to grow, as do the other companies that supply them. Those firms are less likely to increase wages, meaning that disposable income levels will not grow. Employers will not be likely to hire new workers because they don’t have the demand or the funds, so unemployment rates may increase, worsening the economic conditions. In short, low economic growth creates a cycle that continues to drive the economy down until some sort of change, such as a new technology, or a change in demand from outside the city, turns things around. We need to create plans for growth, be open to change, and get a variety of stakeholders to participate in these plans. Here are some of the top tips pulled from research by McKinsey & Company. A plan for growth should include taking stock of cities’ strengths, and areas that need improvement. City leaders should identify areas with the most growth potential and invest in them in a way that attracts people and businesses, such as by improving transportation in areas with industry facilities and available workforces. 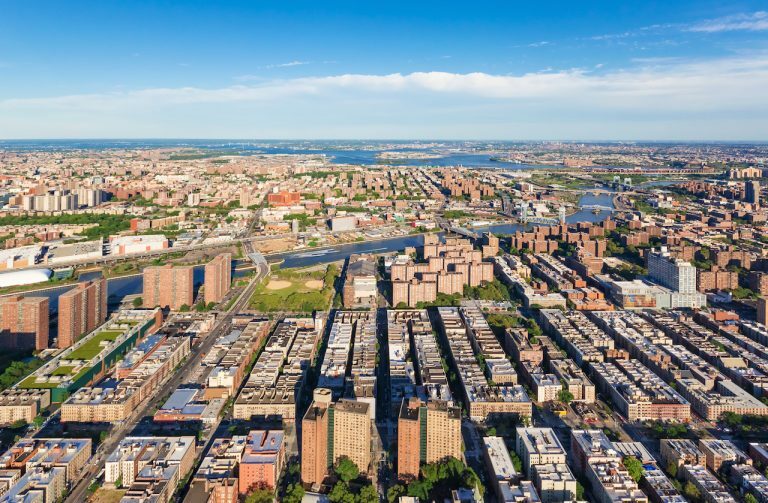 New York City’s Association for Neighborhood and Housing Development (ANHD) took the first step in this process by creating a chart and interactive map of the economies of the city’s neighborhoods. The organization hopes that the visualization will bring more attention to local economic issues and inform leaders about how best to address them. Cities should include the surrounding region in their plans because proximity to growth will affect the surrounding counties or states, and nearby municipalities. The city-state of Berlin in Germany and the state of Brandenburg that surrounds it realized this and began making formal collaborative arrangements with each other. They now have various joint organizations, including one that decides land use and transportation policies. Another essential element is to keep the future in mind. Growth plans need to remain flexible to account for future technological, economic and political changes. They should also put a focus on sustainable growth and investing in the technologies and industries that will shape the future. San Francisco’s growth plan is a “live” plan with a lot of room for flexibility. It includes certain principles, but doesn’t designate specific uses for plots of land. Instead, the planning department’s 100 or so employees assess each project proposal with the plan’s principles in mind. Cities should try to get as many people involved as possible. Getting current government leadership, local business, and citizens on board with the plan can help it to succeed. Making it easier for everyone to get to work, and live in or near the city by investing in affordable housing and transportation can go a long way. The Fix NYC initiative, for example, is working to improve the city’s buses and subway systems, as well as reduce congestion on roadways. To accomplish this, city leaders are proposing a charge of $11.52 to drive a car into the most congested part of Manhattan. Similar pay-to-drive policies are already in effect in cities like London, Milan, Singapore, and Stockholm. Leaders should take steps to integrate groups that are not integrated into the society or are disadvantaged in some way. Doing so can bring in new ideas and more potential workers, entrepreneurs, and social and governmental leaders. The Chinese City of Chengdu’s Migrant Management Office used to primarily work to control migrant populations. Today, it has a mandate to promote migrant access to educational, health and community resources. After all, the people living in a city make it what it is. Improving their situations and getting them involved in the process is the most critical part of creating urban economic growth.